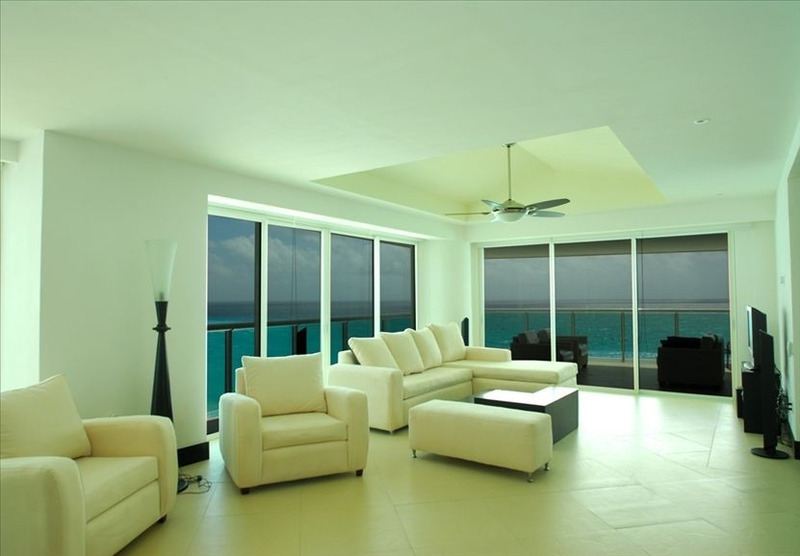 This Stunning Ultra Modern Luxury Corner Unit in one of The Most Exclusive New Residence in All of Cancun. This is the Most Desirable Location in the Hotel Zone. This Home Has 4 Bedrooms and 4 Bathrooms, Service Quarters with Separate Bedroom and Bathroom + Washer/Dryer. In addition, the home has a Full Amenity Kitchen with All Stainless Steel Appliances, a Very Large Dining Area, and a Spacious Guest Area with Floor to Ceiling Windows. The Entire Living Space has Large Glass Sliding Doors that are from Floor to Ceiling. 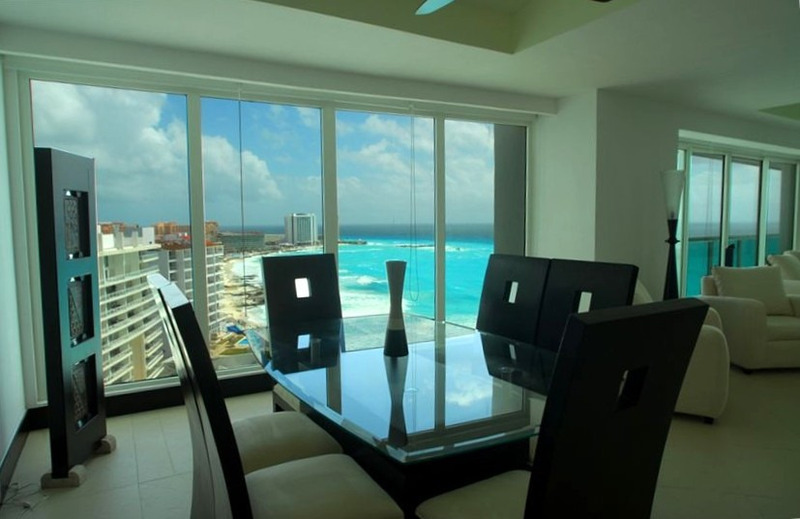 These Glass Doors Create the Perfect Panoramic Images of the Shimmering Turquoise Sea, as Well as the Entire Whitewater Shoreline up to Punta Cancun. Stunning and Tranquil is the Best Words to Describe This Vision. the Outdoor Area Boasts Large Patio Overlooking the Caribbean Sea with a Long Spacious Walkway and a Built-in Patio Jet-Tub. 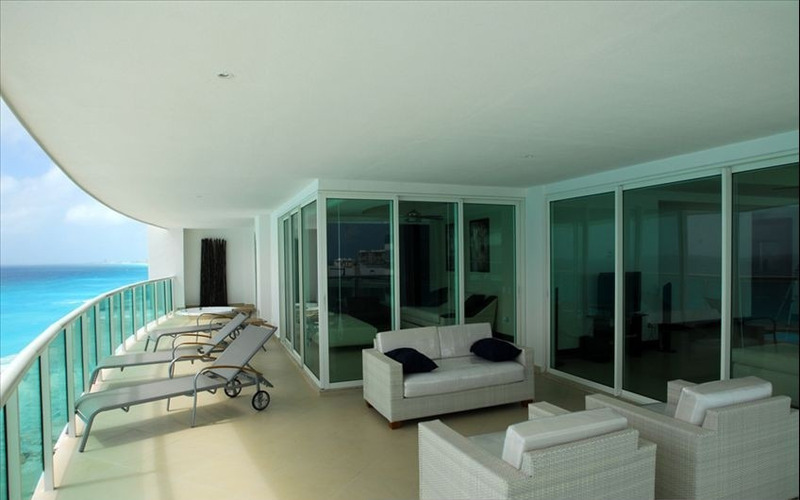 the Two (2) Guest Bedrooms Have Identical Glass Sliding Doors with a Large Balcony Shared by Both Guest Rooms that Overlook the Calm Nichpute Lagoon. The Home is Approximately 2900 Sq. Feet and Terrace Space is Another 600 Sq. Feet. The Home Consists of a Master Bedroom with a KING Bed, a Guest Master Bedroom (Beachfront) with a QUEEN Bed. One of the Two (2) Guest Bedrooms Facing the Lagoon with Have Two (2)Full Beds and the Other Guest Bedroom has Two (2) FULL Beds. 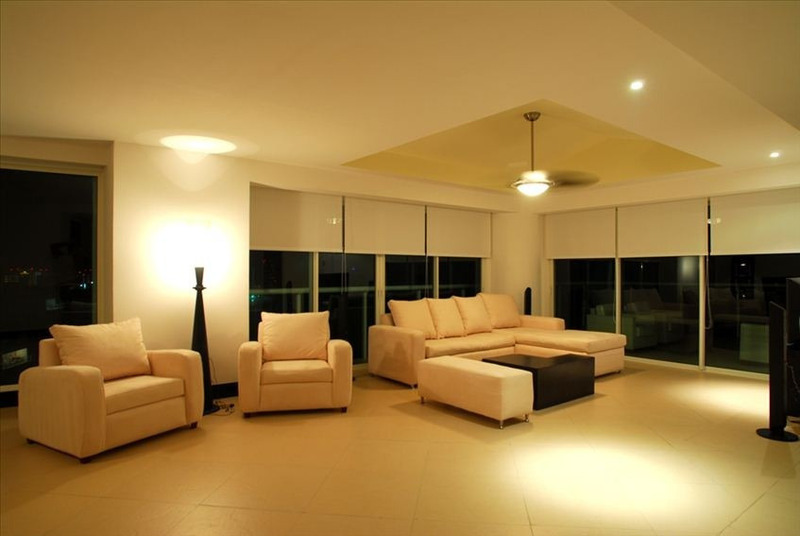 the Living Room Area Has A Sectional of Modern Sofas that Convert Into Additional Sleeping Areas. In Total the Home Can Sleep up to Twelve (12) including children. TEN ADULTS MAXIMUM per HOA RULES. All Cabinets Are Finished with Espresso Stained Italian Wood. the Living Areas All Have Marble Floors Including Bathrooms. There Are Ceiling Fans & TV'S in Every Room. 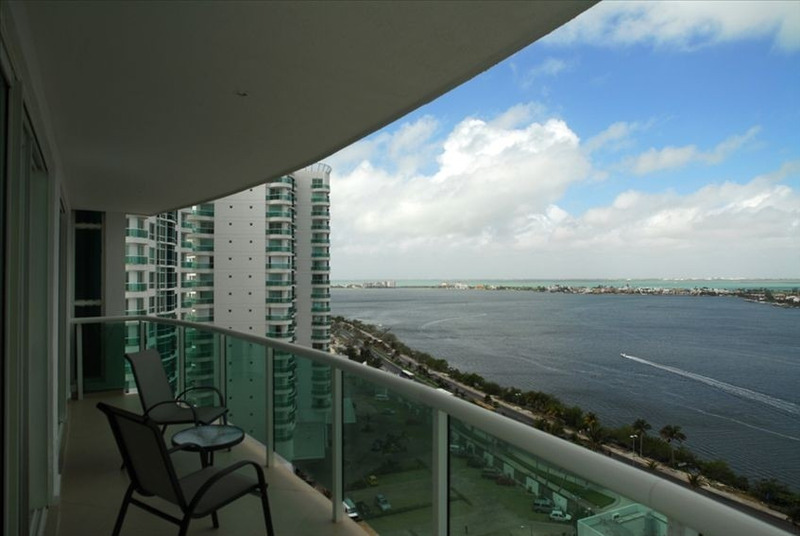 the Home is Fully Air-Conditioned, High Speed Internet Connection Available in Building Lobby, Cable TV (Upon Order), DVD & Stereo, Fresh Linens, Bath Towels and Beach Towels. This Spacious Unit Easily Accommodates 10 People in the Bedrooms, But Can Hold up to a Maximum of 12 occupants (10 Adult guest maximum, up to two more small children or infants). Sofa-Beds Must be Utilized for Full Capacity. The Large Beach Terrace Has an Eating Area with Lounge Chairs and Chaises. the Lagoon Terrace Has Two Chairs and a Bistro Table. Downstairs of Porto Fino and Outside of the Skyline Home, and Into the Luxuries of the Common Areas at Porto Fino You Will Enjoy: an Infinity Pool Overlooking the Turquoise Sea, a Snack Bar, Sitting Area, Lounge Area, and Wifi. Relax in a Beautiful Jacuzzi or Enjoy a Fully-Equipped Spa with Steam and Dry Sauna, Steam Showers, and a Group of Professional Certified Massage Therapists, Offering a Full Massage with All the Body Oils, Facial's, Manicure or Pedicure. the Fully Equipped Gym is Always Available for a Healthy Vacation. 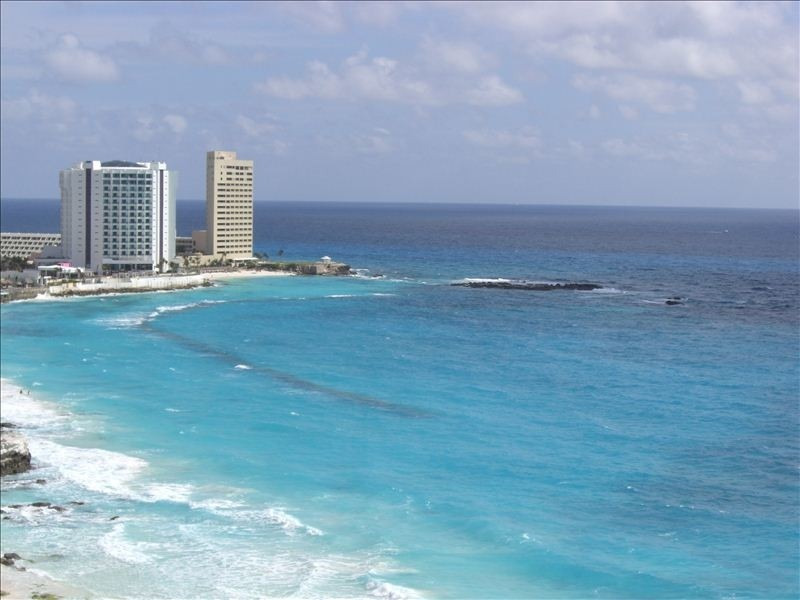 There Are Numerous Categories of Activities in Cancun for All Ages and Tastes. Please Look Below for a Number of Common Activities Amongst Visitors. Any Specific Attractions Can Be Arranged with Concierge or a Vacation Activities Agent. Golf: Imagine, Playing a Round of Golf Around Magnificent Ancient Mayan Temples. a Back Drop of Breathtaking Historical Monuments Rich in Culture and Mystery. Aquarium/Water Fun: a Great Way for Kids to Really Discover More About the Waters of Cancun is a Visit to the Interactive Aquarium. in Addition to Numerous Fish Tanks Filled with the Marine Life of the Mexican Caribbean, There is a Petting Area with Three Open Tanks Where Kids of All Ages Can Touch and Feed Nurse Sharks, Sting Rays, Starfish, Sea Urchins, Crabs and Sea Cucumbers. a Shark Immersion Tank Appeals to the Most Daring of Moms, Dads and Kids. Along with This is Numerous Activities for Adults/Teens Such as Scuba Diving, Snorkeling, Para-sailing, Jet Skiing, Etc. Entertainment: Nightclubs, Lounges, and Dance Clubs, Such as Daddy O's, Coco Bongo, Hardrock Cafe, Buffdog Cafe, Senior Frog's & Carlos an Charlies's as Well as Many Others Are Two Blocks Walking Distance from Your Vacation Residence at Porto Fino Bay View Grand. Local Mexican Shopping Markets and Fine Restaurants Are One to Two Blocks Away. Shopping: the Beautiful Plaza Caracol Shopping Mall is Across the Street, Includes Starbuck's Coffee, Restaurants, Butcher Shop with American Beef, Pharmacy & Excellent Shops. La Isla Mall is a Must. Ten Minutes by Bus or Taxi, to Enjoy the Boat Rides Down the Canals Winding Through the Mall, the Aquarium or Fabulous Restaurants. a Short Distance from La Isla is Kukulkan Mall or the 'Rodeo Drive' of Cancun, with Several up Scale Stores & Restaurants to Be Enjoyed. We Look Forward to Having You All as Guests! To rent you must be of 25 years of age or older. This is a luxury private community that encourages Family Guests and Professional Adults. Terms and Conditions subject to change based on Homeowner Bylaws as well as city ordinances. Refund policy is guaranteed.